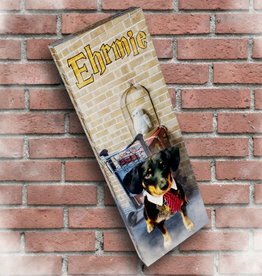 Try the Ehrmie the Dachshund Bar! It will have you howling for a good time! The Ehrmie Bar is a 1/4lb of Milk & Dark Chocolate with Marshmallow and Graham Crackers.